As an antioxidant, quercetin’s major mission is to travel through our bodies combating free radicals that can damage healthy cells, an attribute that plays well in several health areas. And not only can free radicals kill cells, as chemically reactive compounds they can also damage cell membranes and DNA, per globalhealingcenter.com. Per livestrong.com, Linus Pauling Institute researchers have concluded that a particular flavonoid’s potency as an antioxidant depends upon its molecular structure – no two flavonoids are the same, that is – and quercetin is one of the “most powerful” antioxidants in existence thanks to its structural features. Antihistamine Action. 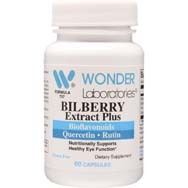 Various lab tests have shown that quercetin can help inhibit the release of histamine, such as during spring allergy season. Such histamine inhibition helps remedy the upper respiratory system’s symptoms, which typically include redness, swelling, and irritation, per globalhealingcenter.com. It also can help provide relief for watery/itchy eyes, a runny nose, and facial swelling. One more thing in this regard – quercetin has indicated an ability to alleviate asthma and skin reactions brought on by allergies; it can even help boost our energy during allergy season while our bodies are otherwise occupied fighting allergens, often leaving us listless. Cardiovascular health. Who reading this isn’t all for anything that supports their heart health? OK, y’all can put down your hands now. Consistently consuming plenty of quercetin-laced foods not only allows for a smoother flow of blood, it can also stave off clotting in the arteries, per naturalfoodseries.com, which means a lower risk of stroke and cardiac arrest. 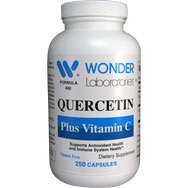 Per globalhealingcenter.com, quercetin’s antioxidant characteristics can guard against the oxidation of LDL (“bad”) cholesterol; otherwise, there’s an increased chance that the LDL will stick to artery walls. Guards against stress. Rare is the person who can go through a year without experiencing stress, let alone a week or a month. In a couple of our recent blogs in this space, in discussing adaptogens, we have covered dealing with stress. When our body is stressed, it produces a hormone known as “cortisol” that is part of the “fight or flight” response. This is fine when we are in a pinch and our hide is at stake, but if the stress/cortisol production is sustained for the long term (hours, days, weeks . . .), the cortisol can eventually damage muscle tissue, culminating in the breakdown of protein in the body. Quercetin’s role in the anti-stress movement is suppression of the enzyme needed for the release of cortisol during these times of stress. Anti-inflammatory. 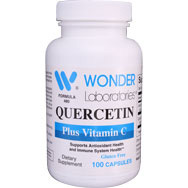 In this sense, quercetin acts like aspirin, diminishing inflammation as well as the pain that accompanies it. It accomplishes this by limiting chemical pathways from producing the inflammation, which in turn alleviates the pain caused by inflammation-related conditions such as arthritis, gout, and rheumatism, as well as colds, fever, and muscle aches and strains, per organicfacts.net. Diabetes. 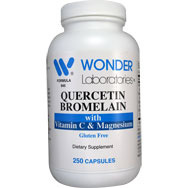 Per organicfacts.net, quercetin has been demonstrated to have exhibited qualities of an aldose reductase inhibitor, referring to an enzyme involved in one of the steps in the sorbitol pathway during the formation of fructose from glucose – potentially leading to glaucoma, cataracts, and various neural problems. As an inhibitor, quercetin limits or stops this transformation of glucose to fructose, helping diabetic patients to manage such problems. Skin care. Specialized skin treatments can be very expensive, but foods with quercetin won’t break your bank. Per naturalfoodseries.com, a diet that includes plenty of quercetin can help keep your skin looking young and healthy, by nourishing your skin and improving your complexion. 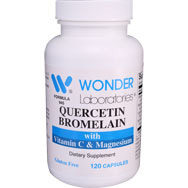 Chalk this up to quercetin’s ability to slug it out successfully with free radicals, making it effective in combating early aging.